Huntkey Wall Mount Series Power Strips Is Available on Amazon Canada! SHENZHEN, China, August 23,2017- Huntkey, a global leading provider of home automation and power solutions, has launched its wall mount series power strips on Amazon of Canada. 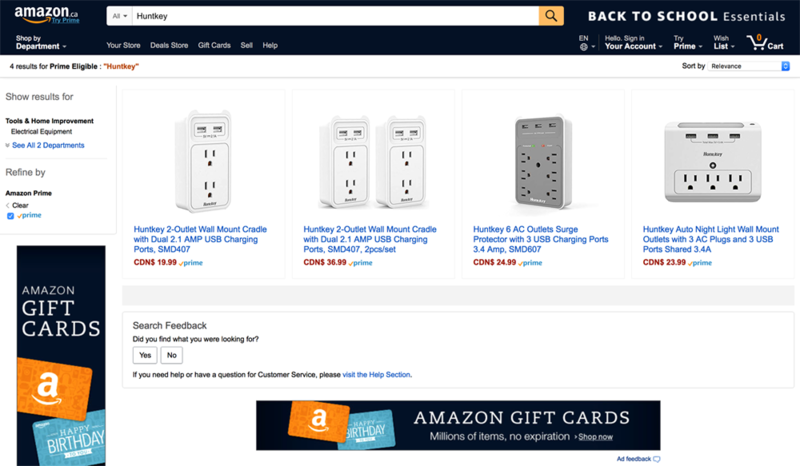 Huntkey has three types of wall mount power strip in stock on Amazon Canada. SMD307 which has a sensor night light on the top and equipped three USB charging ports. SMD407 which is designed with cute cradle and two USB charging ports. SMD607 is the upgraded devices of SMD407 which can charge nine devices at a same time. Customers do not need to search for a plug and can plug in multiple devices with the USB charging ports, and these charging ports works as well as the original plug do. The wall mount series is designed with travel size, it is convenient to take it when you traveling. Huntkey power strips adopted integral copper bar design, which enhanced the conduction ability. Also it can improve the elasticity of switch, making the better experience for the consumers when using it. The last but most important is that with this design, it can promote the efficiency but lower the electricity bills.